Now, Three players clearly stand out. So I’ll only look deeper on them here. They also represent three top teams and the one under performing is perhaps the biggest star – Markus Rosenberg. 10 goals for an expected 16 could very well be the difference between a sixth place and a third or a GD of 26 instead of 20 as MFF now had. I know some experts argue that he has had a different role in the team this year but still, the XG-number does not lie – he should have scored at least 6 more goals. To even more put Rosenbergs season in relation, lets look at Henok Goitom, who has scored 18 goals from 73 taken shots. 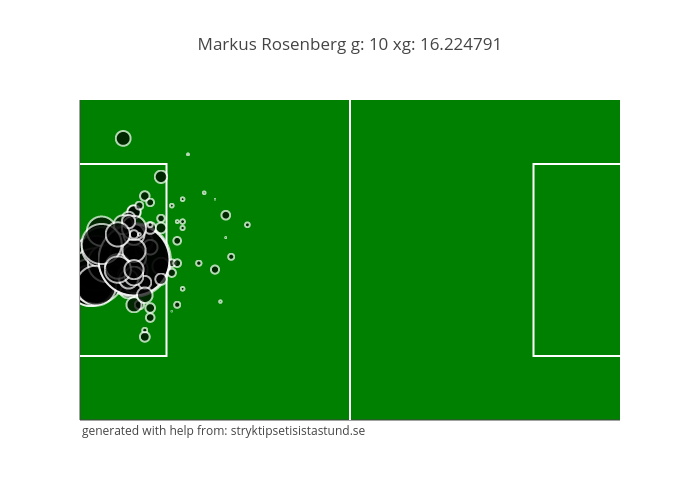 Rosenberg made 10 goals from 90 shots! To sum this post up I thought I’d list the most efficient players when it comes to goals scored per 90 minutes of football played. Here is that list, down to Markus Rosenbergs not so impressive 31st place.. 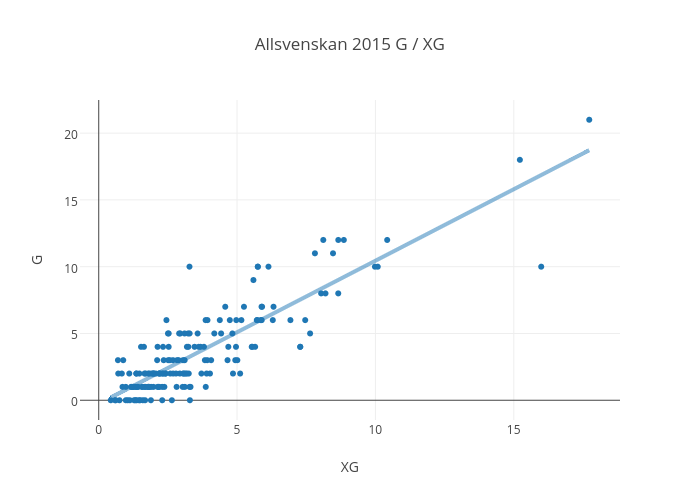 Tomorrow I’ll look into the teams with XG – XGA and heatmaps!